We’ve gathered helmet images from every college football program in the country. Helmet Bowl II will crown the greatest, coolest, best-designed college football helmet in America. Last year, Helmet Bowl I collected more than a quarter-million votes. This year, well, we are looking well past one million votes from college football fans. Conference play will lead to four-week Conference Championship brackets. The top 64 Conference Champions will then be entered into the Helmet Bowl II National Championship. Every college football equipment manager has been invited to participate in Helmet Bowl II. Helmet Bowl II Conference play launches October 1. To join Helmet Tracker in sponsoring Helmet Bowl II, please contact us at helmetbowl@helmettracker.com. 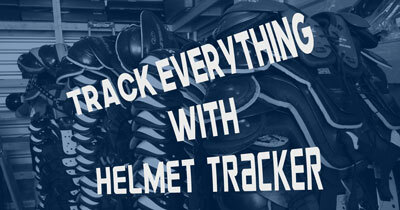 Sign up here to receive Helmet Tracker news updates. We'll automatically send them to your inbox everytime we post something new. It's free.